Fongyee Walker is the first mainland China based wine professional to gain the prestigious Master of Wine. We asked her about this outstanding achievement and her views on wine education in China. You are one of the most recognised wine educators in mainland China, how did wine education become your life’s work? I got into wine education by accident – I always enjoyed wine and food, but not on a really serious level. Then in 2001, when I was studying for a PhD in Cambridge, a handsome chap gate-crashed one of my epic parties…we started going out and he turned out to be the captain of the Cambridge Wine Tasting team. Well, he managed to drag me to a meeting and I was hooked! Teaching the new arrivals about wine tasting turned out to be so much more fun than teaching the finer points of translating Classical Chinese into English, so it was easy to segue into teaching wine. When we moved to Beijing, it was clear that the market needed wine teachers so it was a natural progression to open Dragon Phoenix and offer WSET and other wine courses. Wine education appears to have boomed in China over the past ten years, how has this influenced the Chinese wine industry at large? Wine education hasn’t really boomed – it is just growing from a ground base of zero. The take up is enthusiastic, though, certainly! It has influenced the wine world here in many ways. Firstly, many students do not come to certain types of wine organically, but through book learning. This helps with the promotion of types of wine that students would not ordinarily come across in their normal wine lives, for example, Rutherglen Muscat—a wine not freely available in China but one which many people respond strongly to when tasted. This broadens the wine and spirit world here greatly and speeds the process through which wine penetrate the marketplace. Enjoy the depth and breadth of [the] study and taste absolutely everything you can get your hands on. What lead you to pursue the WSET Diploma, and to ultimately become a Master of Wine? I took the Diploma because it seemed a natural progression and a recognized international qualification. For myself, it also pushed my level beyond the Level 3, which was needed for my own improvement. The aim of life is to learn continuously and to improve ones own knowledge. Since I was, at the time, rather isolated in Beijing (not many people in China were studying at that level at that time), it was a very useful way to push myself. And it was the same for the MW. I did not really enrol on the course to become an MW. I enrolled in order to push my own knowledge to a better level, to have the chance to discuss wine with people from different countries and different backgrounds and to keep abreast of current developments in the wine world. Actually, passing my exams made me sad not to be able to continue the experience!! What advice would you offer to anyone else attempting the Diploma or MW programmes? Think carefully about your time and commitments and goals. Do not embark on these sorts of studying with a half-baked attitude or with a timetable that is already filled to the brim. Do these programmes because you love wine, not for any other reason. Enjoy the depth and breadth of the study and taste absolutely everything you can get your hands on. Enjoy learning how to progress your tasting abilities. The human tongue and nose are remarkably interesting tools – get to know your own sensitivities and weakness well. Have a sense of joy, achievement and delight in what you learn. 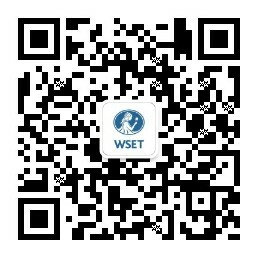 As Mainland China’s first ever MW, how do you plan on using this title to advance wine in China? I hope to encourage people not to think of wine as some ‘luxury’ item that must be reverenced, but rather to enjoy the immense pleasure that wine can bring to our lives. It can be an everyday delight of flavour, a lift to the spirits in our day to day busy lives and a way of sharing fun and happiness with friends. It doesn’t matter if the label is a high class cru classé or a cheapy bottle of Moscato, what matters is the pleasure you get from it. I didn’t try for the MW just for the qualification or the initials themselves. I hoped that the study and process could enrich my life just as wine has the power of doing! Over the next 10 years, what big changes do you anticipate to the wine, spirits and hospitality industries in China? There’s no crystal ball in my possession! I think anyone who can confidently forecast China in the next 10 years is either a madman or has some sort of time machine to the future…. I don’t dare throw my towel in with them! All I can hope for is to see the industry becoming professionalised (horrible word, but necessary); consumers getting to know their own tastes and preferences better; and wine stocks becoming fresher with an ever growing range of choice for all of us. Fongyee Walker MW is a WSET Certified Educator and Diploma graduate; she co-founded and runs Dragon Phoenix Wine Consulting, specialists in wine education in Beijing.